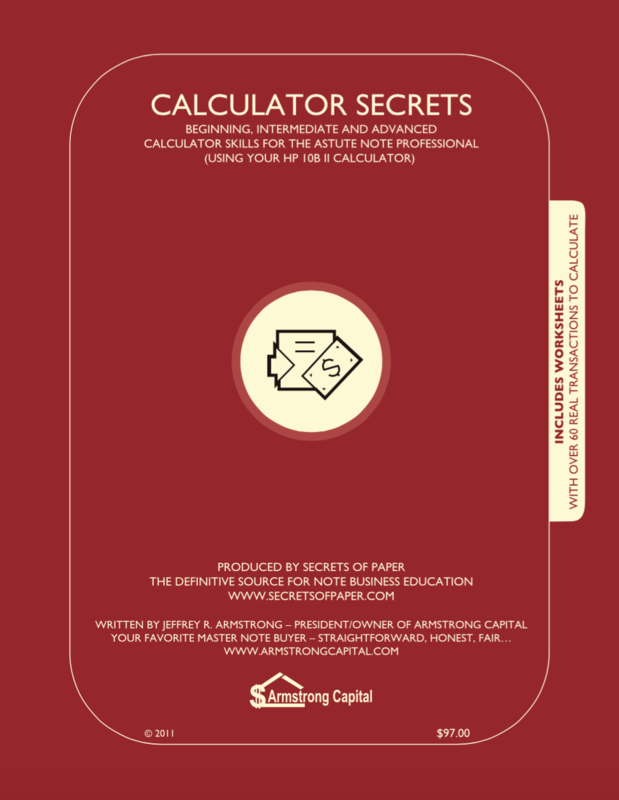 Calculator Skills for the Astute Real Estate and Note Professional – Includes over 60 real transactions to calculate! eBook available for only $82.00! Don’t forget about the Supplement with 60 extra deals to practice on for only $19.97! There are actually 265 pages in this book. You probably will not be reading through it but using your calculator as you practice and write down (on worksheets provided in the book) your calculations in each section. This book is for practice and application to get you fluent with numbers in the Private Mortgage Note Business. 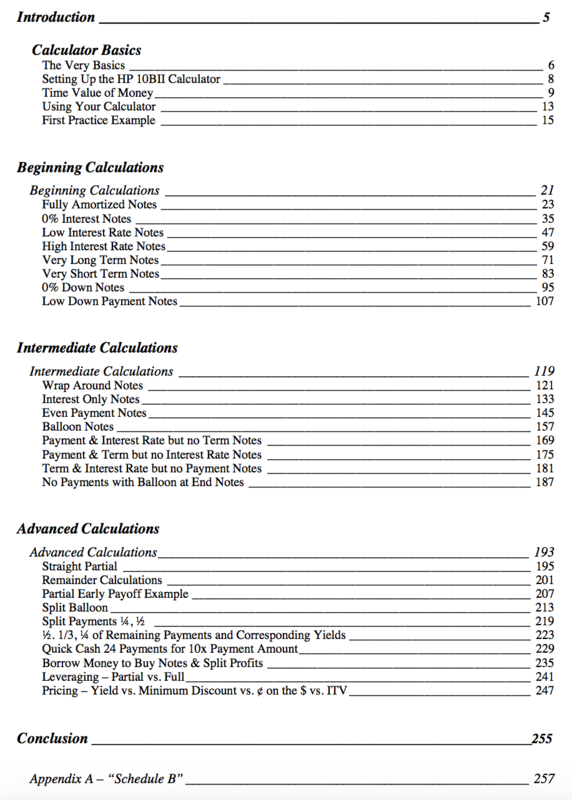 This book is written for cash flow consultants, note brokers, note buyers, note investors, real estate agents, real estate brokers, mortgage brokers, private lenders, hard money lenders and any person who has ever been confused by note, mortgage and loan calculations that want to learn how to use the HP 10B II calculator for their business. There are other calculators out there that can calculate the same things we are going to learn how to do but I have found the HP 10B II calculator to be the simplest of them all. Supplement with 60 extra deals to practice on for only$19.97! In the book itself there are Beginning and Intermediate sections where we have identified 14 types of notes as well as situations you may run across while working your business. Then in the Advanced section we work on calculations for the investor minded and those who like a challenge. ** Keep in mind that the book illustrates calculator use with an HP 10B II calculator yet the concepts and calculations will work on other financial calculators as well. You can order your HP 10B II through hp.com or find them at most office supply stores (and yes, there is an App for the 10B II calculator as well)!